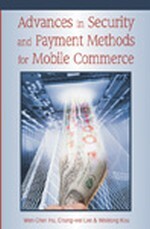 This chapter introduces reputation systems as a means of facilitating trust and minimizing risks in m-commerce and e-commerce in general. It first illustrates the importance of reputation systems in m-commerce by analyzing a list of risks through example scenarios and discusses a number of challenges of building an effective and robust reputation system in e-commerce applications. It then describes PeerTrust, an adaptive and dynamic reputation based trust model that helps participants or peers to evaluate the trustworthiness of each other based on the community feedback about participants’ past behavior. It also presents some initial experiments showing the effectiveness, benefit and vulnerabilities of the reputation systems. Finally it discusses a few interesting open issues.